Have you read my previous posts on “How to Be a Wheel of Fortune Contestant”? If you’d like to read this story from the beginning, Part 1 is here, and Part 2 is here. Okay, so I did well at the Round 1 Wheelmobile event in Knoxville, TN in May, 2012. And then I didn’t hear anything for a while. The producers prepared us for this reality when we left Round 1, saying we might hear from them, or we might never hear from them again. How? When? It was a mystery to us poor little excited WOF prospects. It’s like the dream guy/girl asking for your phone number and never calling again, or as it was in this case, waiting three months to call. In early August 2012, I received the email that I had simultaneously dreamed about and sort of forgotten because it had been so long. There it was, an invitation to a hotel ballroom in Knoxville (the same city where I had attended the Wheelmobile event in May 2012). FYI, Round 2 was held during the week, while the Wheelmobile event (Round 1) was held over the weekend. I arrived in the hotel ballroom with approximately 80 other people. It was set up sort of like a wedding…rows of chairs, an aisle down the middle, and a screen up front of the green WOF board. My understanding is that they were holding Round 2 for at least 1-2 more groups over the next few days. We signed in, received nametags, and sat in the chairs to listen to the producers. They coached us to pretend like this was the real thing, like we were in the Hollywood studio filming an episode. What does that mean? Smiling, lots of clapping, guessing logical letters, and solving the puzzles. This was still an audition, and we needed to make them believe we could do this…and be successful players under pressure. I think there were also cameras…scary. DESCRIBE THE ROUND 2 AUDITION. 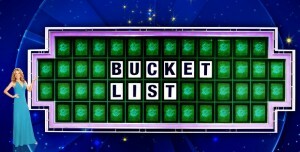 In the morning, the producers would call out random names and ask us to help solve the puzzle up on the screen. They had a mini-wheel that faced us like a clock (instead of the real wheel). We would pop up in our seats, call letters loudly and clearly (think how much M and N sound alike, for example), and solve the puzzle if we could. They obviously wanted every single person to have a turn, but it was just like school…you’d better be paying attention in case the teacher called on you. 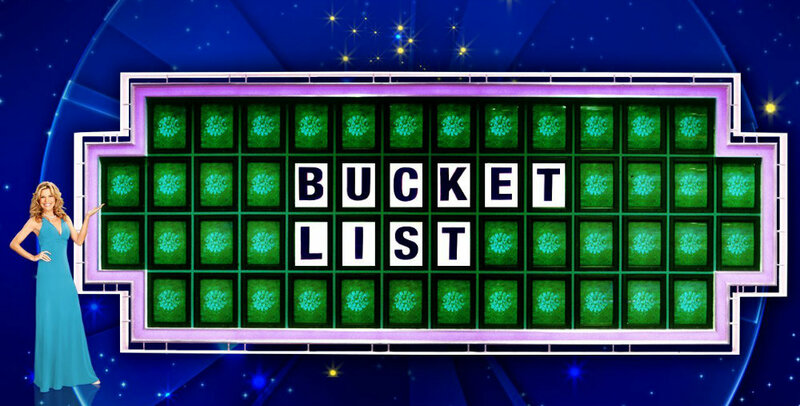 Producers spun the wheel for us, and sometimes they would “bankrupt” us on purpose to give someone else a try…I tried not to take this too personally. The second part of the morning was a written test. The test had dozens of incomplete Hangman puzzles with a few letters filled in and each puzzle’s category, and we were given about 20 minutes (I think) to complete as many puzzles as possible. Any attempts we made were better than nothing, and there was no penalty for guessing or filling puzzles in partially. This. Was. Nerve-racking. We turned in the tests and never saw them again. I didn’t complete all the puzzles, and some I didn’t even attempt because they were so difficult. But again, this is a “do your best and think logically” audition, so that’s what I did. By lunch, the Wheel of Fortune producers whittled us down from about 75-80 people to more like 20-25, and mine was one of the last names called. Whew. In this afternoon round, I felt the pressure more acutely. I had no idea how many contestants they would pick to go to LA from this group, but I certainly planned to be one of them. I couldn’t get so close and then fizzle out. The afternoon session was more intense because there were fewer players, and we all understood what was now at stake…the chance to play Wheel of Fortune and win lots of moo-lah. We sat in the front, and the producers pitted us against each other, three at a time. We spun a pretend wheel, smiled and clapped like crazy, guessed letters and solved puzzles. One of the producers played fake-Pat and asked us questions about ourselves as we introduced ourselves, just like we might do on (gulp) national television. And y’all, I chose a nemesis. Between the morning and afternoon sessions, I saw this guy in the hallway and decided, in a nice-proper-Southern-girl-way to Take.Him.Down. Why? Read that crazy little story here. I’m really not sure how long the afternoon session went on…maybe another two hours. I got into the Hangman zone, and for some reason, I could solve everything they threw at us. If they called on me, I had logical letters prepared and won lots of fake money playing against the Knoxville crowd. And then it was over. We left again not knowing whether we would actually be Wheel contestants. It was such a difficult dance between trying to be all cool and desperately begging the producers for some answer, any answer, so that we didn’t have to leave without knowing. Like what you’ve read? I’d love if y’all followed me on Facebook, Twitter, or Instagram. Or you can just follow my blog Carrie On Y’all. Thanks!